I will be wearing a hat today. I have been fortunate enough to race ride since my tumour so I will definitely wear a crash hat and my Northumberland hat. There is, at the same time, amazing work being done by many surgeons and academics; but, in particular, last year I was fortunate enough to meet and discuss progress with the amazing team from Newcastle University, who are genuinely leading the way in such research, diagnosis and new treatments. Here is a potential timeline of events. The PM will have delivered the letter today and will at 12:30 make a statement on the issue to the House of Commons after Prime Ministers Questions. Once again the RMT have chosen to go on strike - I have very little sympathy with such a premature, misguided and unproductive withdrawal of labour. RMT leaders are not helping. For those who are curious union boss Mr Cash allegedly earns £137,000 a year! This is double what an MP earns and almost what the Prime Minister does. The key point is that Northern have really committed to the Tyne Valley Line and to the extra security on the line - this strike will affect the tyne valley commuters yet the same service is now better for Tyne Valley commuters. Utterly illogical. I am a strong supporter of unions but the RMT have got this strike way wrong. 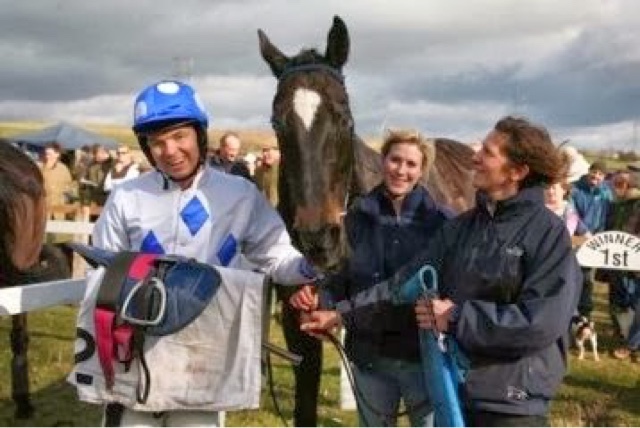 Today at 4:30 I will be helping to guide through the House of Commons the betting levy changes that see a long sought change to the levy, thereby improving the tax take and input to the British horse racing industry. This has taken many years but is utterly key to a longstanding future for this great industry in which the UK is the world leader. It is a great honour to be asked to serve in the mother of all parliaments. It is a great honour to be an MP. To do this job, and to make our democracy happen the Houses of Parliament require protection. It will be very odd and very raw for all of us to be returning for a new working week tomorrow morning, with all the memories and horror of what happened last Wednesday so fresh in our minds. We all grieve those lost and wish well the recovery of the injured. But the day job continues. For my part I begin the process of parliamentary scrutiny of the Prisons and Court Reform Bill, which has evidence and committee sessions this Tuesday and Wednesday. I am also one of the whips on duty in the house for the last day of debates for this spring term, which is Thursday. I have several constituents down in Westminster to meet and discuss the expansion of the north east economy, and have a host of other meetings this week, ranging from events to discuss expansion of our tourism sector here in the north, to discussion of our FE sector. Monday I am helping to guide through the house the changes to the horse race betting levy, in committee room 12 at 4:30. Terrorists win if you fundamentally change your behaviour, and compromise your freedoms and way of life. We mourn those who died and we will spend time working out how security and vigilance can be improved. But most of all we move on, live our lives, and make it clear that we in Great Britain a wonderfully characterful, funny, quirky and plucky country We are not afraid. For my part, life goes on in Westminster and in the constituency. I have held surgeries and home visits, and door knocking this weekend and that will continue as normal. Westminster will be different but resolutely the same. Life goes on. Nothing changes. The National Trust is a great institution that has lost its way recently. And nowhere is this best demonstrated by the unilateral closure of george Stephenson cottage in wylam. 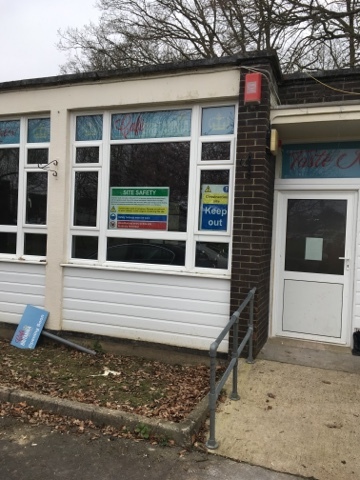 The arguments about how they failed to support or even sign post the venue are many but almost worse has been the failure to accept there is a problem in their approach. Still I hope that we are getting there and I am encouraged by positive noises coming out of the Trust, as reported in the journal. "Last year, the Boundary Commission for England published and consulted on our initial proposals for new constituency boundaries. We received nearly 20,000 responses to that consultation. The next stage of the 2018 Review is for us to publish all those representations so that others may comment on them. I write to you today to inform you that we will be publishing all the representations at midnight tonight. We will be inviting comments on them for the statutory four-week period, until Monday 27 March 2017. All representations will be published on our website at www.bce2018.org.uk, where you will be able to search by a number of different options, such as name, reference number, existing constituency or type of respondent, as well as using the interactive mapping system to locate comments geographically. The Commission would like to encourage you take time to see what others have said about our initial proposals, and add your views to those. We would also ask you to assist us by publicising this consultation as widely as possible in your constituency and further afield. Following the secondary consultation, the Commission will be considering all representations received from both consultations, and will consider whether any revisions are needed. If we decide to revise the proposals, we will consult on the revised boundaries. We currently expect any such consultation to happen towards the end of 2017, or in early 2018." Importantly, the Conservative party counter-proposal did not require the creation of any ‘orphan’ wards to be attached to a Newcastle constituency, and kept the four wards which make up the town of Ponteland, wholly within their current Hexham constituency. It had a much better fit for the Hexham constituency, and preserves Ponteland, whose proposed split has upset many - see below and the representations made. 1. Ponteland East, Stannington, and Whalton are primarily rural areas. Whalton, Ogle, and Belsay do not connect to any of the Newcastle boundary lines; and if the Ponteland East & Stannington ward has been removed from the Hexham constituency as initial proposed, these areas would be represented by a primarily urban, Newcastle based MP. 2. Important local ties would have been broken by the proposed changes. For example, the town of Ponteland would literally be split; meaning the High School, Middle School, Leisure Centre, Golf Club and some of the town centre would be represented by a different MP to the MP representing most of the residents. The dividing line would also mean a Northumberland MP represented one half of Eastern Way and a Newcastle MP the other side. This counter proposal is supported by Eileen Armstrong, the County Councillor for Ponteland East and Stannington, all other Ponteland County Councillors, and myself. I am very much involved in the legislation that is the Prison and Court Reform Bill. It was debated at length in the commons at second reading yesterday and passed with the support of the labour, and snp parties who attended and debated the matter at length. No one from the liberal or green parties turned up to debate the issue, which was surprising. 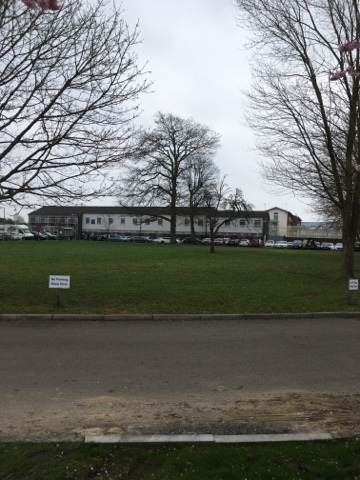 In the last two months I have taken time out to visit two of the Reform Prisons, which include Wandsworth and Coldingley. Wandsworth is outstandingly run by Ian Bickers, whose twitter account is a brave new development in the world of prisons. The changes there are positive and palpable. 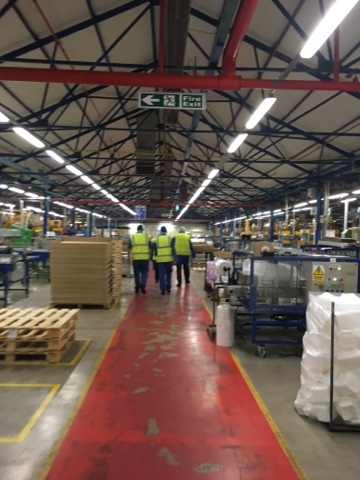 - but all you need to know is that it is a groundbreaking prison in so many different ways; every inmate effectively works a normal working day, and the quality of the work they do in the large and well equipped engineering workshops, print shops and more is outstanding. This is all part of my attempt to visit as many prisons as is possible and get a better understanding of the many ways in which reform is being engaged with. There is better news on officer numbers, and there are many measures in the bill and revised guidance which will free up governors for the way ahead. Having seen both Wandsworth and Coldingley recently the reform prisons are palpably the way ahead. The governors, the officers and the prisoners are all welcoming the changes. At Coldingley, I am particularly looking forward to the upcoming opening of their café and garden centre which will be selling produce, flowers and equipment that are produced in their entirety by the prisoners. My thanks to all the prisoners, staff and the governor who welcomed me to the prison last week. I have received a lot of correspondence on this issue, particularly as the Art 50 Bill has been debated in the House of Commons and the House of Lords. I did not support the Lords Amendments. 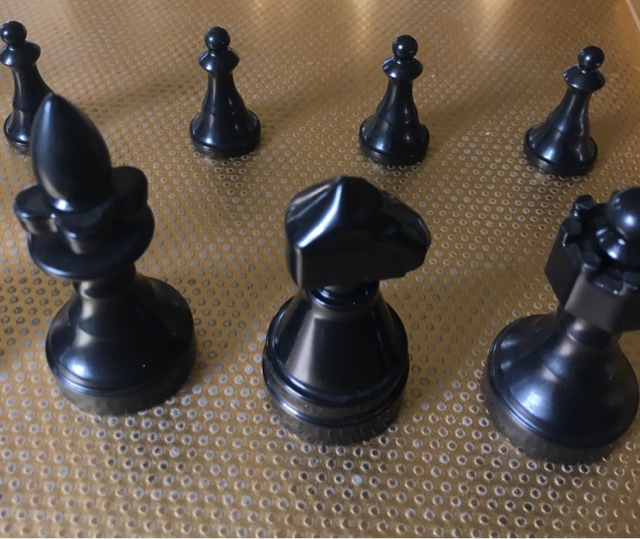 You may not agree with my approach, but I hope you will see that I have set out my reasoning both here and repeatedly over the last few weeks on the blog. There are a number of issues that I have had to consider carefully. First, should the Brexit Bill have been amended? I think the government has the right to pass a 10 line piece of legislation that allows it to trigger article 50, following and to enact the referendum result, without the Bill being fettered by individual clauses that mandate certain outcomes. To add clauses to the Bill would risk judicial proceedings and definite further delay, as well as tying the Government’s hands when it comes to its negotiations. For that reason, I did not support any amendments. These matters of genuine concern to many will be dealt with separately over the coming months and years. Second, let me try and address the discreet issue of what should we do to secure the rights of European nationals living here? Everyone wants the Government and the EU to agree, and grant EU nationals already residing here the right to permanently remain. However, I understand the position of the UK government, that it also wishes to secure the rights of the million + UK nationals living in the EU at the same time. I am also pleased that the Government has made it clear that securing the rights of EU nationals will be its first priority post the triggering of art 50. I am well aware of the uncertainty that this situation generates, and am meeting local residents affected by this shortly. The fair point also to be made is that the government tried to resolve this matter earlier this spring but several eu countries objected until article 50 had been triggered. Third, the government has already said that Parliament will have a vote on the final deal. The Lords amendment - that they ultimately decided not to pursue - effectively amounted to a wrecking amendment. I listened to the debate and accept the assurances that there will be a meaningful debate and vote at the end of the process, without effectively putting a veto on the whole process of the June 2016 referendum. Finally, some have asked about access to the single market? 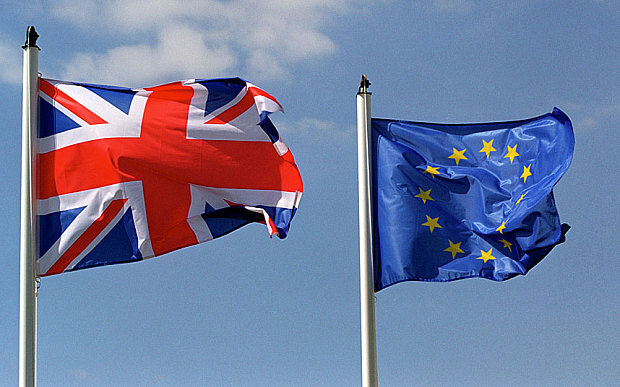 Apart from the rights of EU nationals, this is the most important issue, as it both affects our trade with the EU, and our right to trade with other countries, and also has an impact on free movement. We will formally leave the single market when we leave the EU – that is the only outcome. The Government’s challenge, therefore, is to try and recreate, as much as possible, the benefits of the single market, which is so important to many of our industries, from car manufacturing to broadcasting to agriculture. I want the Government to ensure that our businesses have the best access possible to European markets after Brexit. As you can see from the above, there are a huge amount of issues that need to be dealt with. I tried to persuade the country to vote Remain, but that was not the outcome. Brexit will consume our energies for many years to come, and I believe it will cause uncertainty to the country for a while. But given that there was a clear vote, I believe that we need to get behind the PM and make a success of this. You don't get to pick and choose your democracy. Monday sees the Prisons and Court Reform Bill begin its 6-9 month journey through the Houses of Parliament. The second reading debate is from 3:30-10. There are multiple other debates next week, and key celebrations, notably the Countryside Alliance Rural Oscars - where we celebrate some f the best rural shops and businesses in the country. I have multiple meetings this week in Westminster, but am heading north on Thursday as Friday is a packed surgery and meeting day, starting with the launch of the LifeSavers project teaching financial education in our local schools. I am also starting a short course of lecturing at newcastle university where I have volunteeered to help out the teaching staff on a couple of lectures and seminars over the next six weeks. In addition to all that we also have multiple celebrations in London and Northumberland for Red Nose Day. Northumberland Honey & Sovereign Nectar Meadery given “Highly Commended” by Countryside Alliance. 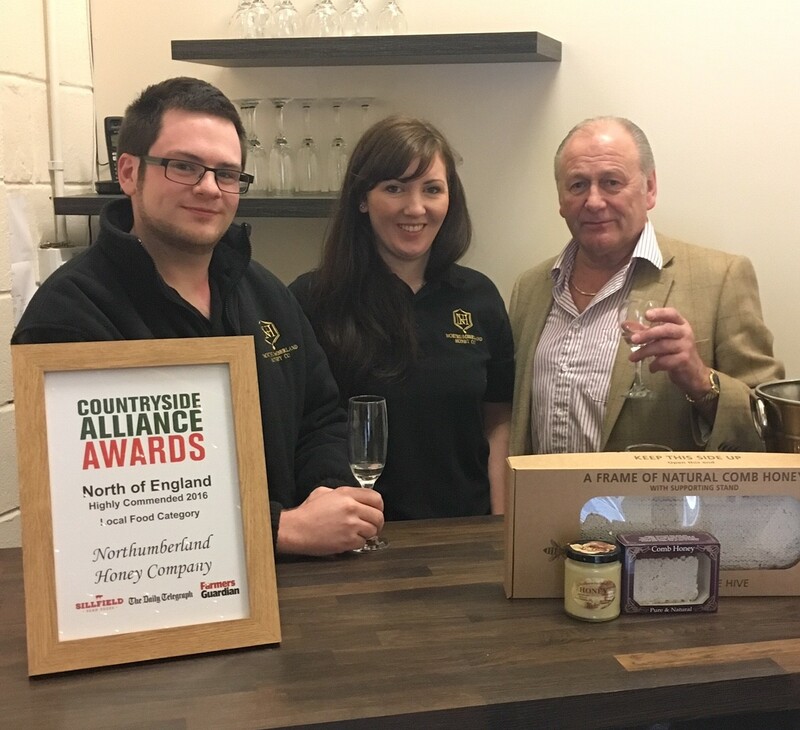 The Northumberland Honey and Sovereign Nectar Meadery in Haltwhistle has been given a “Highly Commended” as a new business by the Countryside Alliance. Now, the Northumberland Honey Company has been deemed a HIGHLY COMMENDED business in the “Local Food” category. The Countryside Alliance received over 7,500 nominations in the five categories this year, so their success is testament to their tremendous contribution to our local community. On hearing this news, I went, with local councillor Ian Hutchinson, to visit the Northumberland Honey Company (http://www.northumberlandhoney.co.uk/) and met with Luke and Suzie on Friday 24 February. They are an incredibly pleasant couple with a brilliant business. I hope that everyone will flock to Haltwhistle, experience something new and support one of the many fantastic local businesses in our constituency. The Rural Oscars were devised by the Countryside Alliance as a way of celebrating our communities, skills, and produce through those who work so hard to keep rural life ticking. Regional winners have now been announced: https://countrysideallianceawards.org.uk/caa/article/2016-rural-oscars-regional-champions-for-the-north. Please continue to support our local businesses and, in turn, our local rural community. Prime Minister Theresa May has vowed to fight to keep the United Kingdom together as Brexit takes place, when she launched her “Plan for Britain” this week. The long campaign to preserve the green belt around Ponteland, Hexham and other parts of Northumberland has occupied a huge amount of my time as the MP this last 7 years. This week the County Council approved further housing applications in Ponteland. I could not be present as I was in Westminster. However, local Ponteland town and County Councillors, along with many local campaigners, did attend and rightly made their feelings very clear. Given the impact on the Greenbelt, and the pressure on public services, I simply could not support these proposals. It is to be hoped that the Secretary of State calls in the many Ponteland applications. My views and the views of the local county and town councillors have not changed. But the overall objective is keenly supported by locals, by the train company who would like to see it happen, local MPs and more and more of the key stakeholders. The problem as always has been the cost. If one approaches this from a requirement for a state of the art, brand new station with everything attached then the original Network Rail report of £28 million + is clearly a big ask in these straightened times. 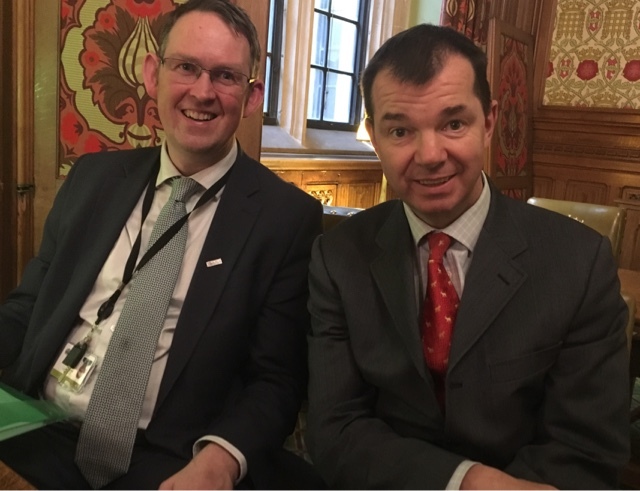 However, I have been impressed by the way in which Network Rail and Northern Rail are trying to come up with innovative, and potentially more cost effective, solutions to a tough problem. I meet again with these two organisations shortly and there is a germ of a good plan that we are working on. - the impact of the tens of thousands of extra visitors who will arrive by reason of the Sill Project that opens in the summer. How do we add to their visitor experience and increase their time in Hadrian's Wall country, with particular reference to all the diverse Heritage assets that are close by the station site? - and numbers as to the fundamental greater usage of the Tyne Valley railway, and the new station itself, to justify Northern Rail and the other support agencies getting behind the project. We have recently met Heritage Lottery and engaged with the Northumberland Tourism Team and the Borderlands project are also supportive so I am hopeful that we are building up steam - if you forgive the pun. The critical issue is this - can we build a station at a reasonable cost that does the job without breaking a limited bank account? That is what we are seeking to do. Paul can definitely help and, whilst the devil is in the detail, he is very supportive and is taking this to the highest levels of the train food chain. I will update more after I have met with Northern and Network Rail in a couple of weeks time. The People's Health Trust has awarded sizeable grants to Northumberland Community Development Company and Hexham Youth Initiative to help them continue and drive forward the great work they do. People's Health Trust is an independent charity which invests in local communities to help specifically target the issue of health equality. £44,200 has been allocated to Northumberland Community Development Company for their "Let's Get Together" project. This new two-year project aims to build on existing activities taking place in a cluster of five villages in South Tynedale and create new opportunities for inter-village projects. Community volunteers will be trained in each location to help local people develop and deliver a programme of inter-generational activities. £18,732 has been allocated to Hexham Youth Initiative for their "Hexham East - Fit for the Future" project. This new two-year project aims to deliver seasonal activities during term-time and school holidays for children and young people aged 8-16 years living in Hexham East, Northumberland, in order to build self-esteem and improve wellbeing. A Youth Leaders Group will design and organise the programme based on the requests of the young people. Day trips will also be organised in the school holidays for the young people and their families to socialise together and with others in the community. There will be steering groups which will include at least six young people to oversee and further shape the project as it is being delivered. It is great that these two excellent initiatives have been recognised by PHT, and that with these grants the project can continue to go from strength to strength. It is a depressing reality that we are in another era of rail strikes. There are many reasons for this and now is not the time and place to get into a detailed analysis of why the RMT union have chosen to strike, although I will comment briefly below. The important issue is the nature of the strike, the impact it has on customers both local nad visiting and the extent of the strike. It is important to note that some services are running still. Of course this could change so keep checking the Northern web site. Politics: that this is a politically motivated strike is without a doubt. This relates to specific union politics, namely who is top dog in the union movement, and a bit against the government. The rail companies are caught in the middle. Do driver operated trains work? In urban areas the answer is clearly yes. See the Metro in Tyne and Wear and the London Undergound. And large parts of Scotland, mainland Europe etc etc . This does require the right technology / trains. Clearly there are not happening in our area of the North East or the Tyne valley line either right now or in the near future. So again the strike is premature. But what is more galling is that Northern - since they acquired the franchise - have accepted that on the Tyne valley line we should have more security and protection for passengers, notably on Friday's and Saturday nights, and have acted. I would urge union members to think long and hard about Mondays strike and the way forward. He said the action would have been preventable if the companies had “listened to the union’s deep-seated safety concerns, had taken them seriously and had put passenger safety before profit”. The right to strike: I do not disagree with this but already certain mission critical jobs and services are not allowed to strike by law. For example the army, security services, police, etc. This proposal did not pass the House of Commons, and is not I stress proposed as law by government. But the RMT is playing a dangerous game. Ultimately, this issue comes down to one key thing: can unions hold back the march of machines? Nearly seven years ago, we took over an economy on the brink of collapse, with the highest budget deficit in our peacetime history. We took the tough decisions to tackle that deficit, rebuilt Britain’s shattered fiscal credibility and created more than 2.7 million new jobs. It supports ordinary working families in their aspirations for a better life for themselves and their children.Last year we delivered a pay rise to a million of the lowest paid with the National Living Wage, which will rise again to £7.50 in April – an income boost of over £500 for a full-time worker this year. The personal allowance will rise for the seventh year in a row, benefitting 29 million people and meaning a typical basic rate taxpayer will pay a full £1,000 less income tax than in 2010. But more needs to be done to make ends meet. That’s why, we are rolling out our Tax-Free Childcare policy worth £2,000 per child up to the age of 12 and doubling the free childcare amount for working parents with three or four year olds. Together, these are worth up to £5,000 a year. It ensures that people have the skills that they need to succeed in a global Britain. We have ensured that young people have the skills that they need to get on in life, with 2.4 million apprenticeship starts in the last parliament and 3 million more by 2020. Today, we have announced the most ambitious post-16 education reforms since A-levels were introduced 70 years ago. 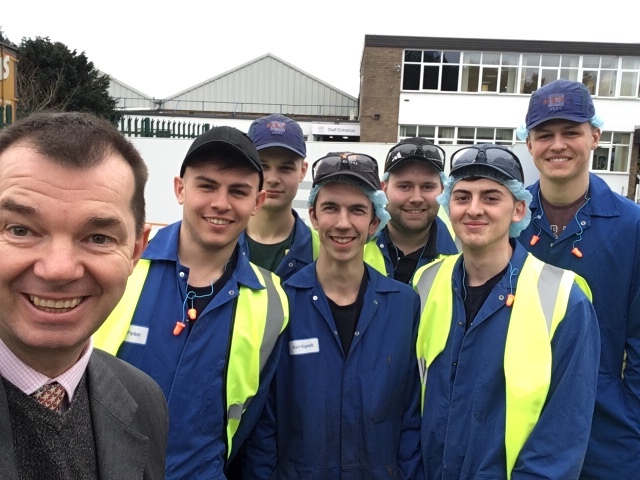 We will provide funding to increase the training for 16-19-year-old further education students by over 50%, with 15 new technical routes and a work placement for every student. 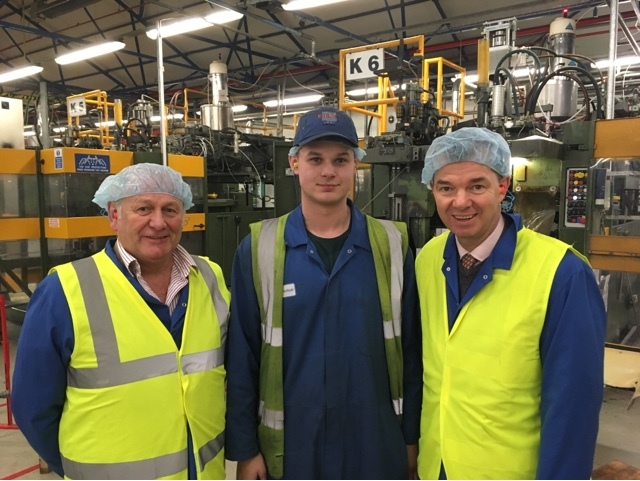 Once this programme is rolled out, we will be investing an additional £500 million a year in our 16-19 year olds, giving them the technical skills they need to succeed in the world of work, and giving businesses the edge they need to compete in a new, global Britain. It provides help and support to our NHS and social care system. The NHS is an important national institution that helps to bind us together as a country. This budget continues to support our NHS by providing new funding to support our social care system – worth £2 billion to social care in England over the next three years – reducing the pressure on our hospitals. And it keeps our economy strong – preparing for our future outside the European Union. When we came in to government, we were borrowing £1 in every £5 we spent. This year it is set to be £1 in every £15. We remain committed to returning the country to living within its means, and this Budget makes progress on this by reducing borrowing as set out at the Autumn Statement. This is a Budget that will build an economy that offers better jobs, with better pay. The economy that Labour left us was on the brink of collapse. Labour are out of step with the concerns of ordinary working people. Labour would not control public finances and would crash the economy like they did last time. Labour are too divided and divisive to build a country that works for everyone. Today as we prepare to begin our negotiation with the European Union, this Budget prepares Britain for a stronger, fairer future. Budget day is a key landmark for any government. I shall be in the commons to listen to the chancellor. He has a tough job, given the state of the country's finances and the difficulties reducing debt and dealing with the issues we face as a country. I shall blog more post statement which is from 12:30-1:30. I wanted to set out the work of the Government in this area as I know it is important to many constituents. This Government is committed to supporting, protecting and caring for the most vulnerable asylum-seeking and refugee children. We are doing more than ever before to support those affected by this crisis. Our resettlement programme – which will bring 23,000 vulnerable people to the UK to start new lives by the end of this Parliament - is one of the biggest in Europe. The Government wants to resettle the most vulnerable refugees directly from the camps in and around Syria; this is how we stop traffickers and smugglers from exploiting vulnerable people and children affected by conflict and prevent them from embarking on perilous journeys across the Mediterranean. By the end of this Parliament, we will have resettled 20,000 vulnerable Syrian nationals and a further 3,000 of the most vulnerable children and their families from the Middle East and North Africa. These are the most vulnerable children, not those who have made the crossing to Europe. Our work in Calais showed this; fewer than 10 of the 750 children we brought to the UK were Syrian. Crucially, our resettlement schemes help ensure that children do not become unaccompanied. They allow children to be resettled with their family members – without ever needing to make those dangerous journeys seeking to get to Europe’s shores. These safe and legal routes help combat trafficking; as does the aid that we provide in the region; we have pledged over £2.3 billion in aid in response to the events in Syria and the region - our largest ever humanitarian response to a single crisis, and we are one of the few EU countries to meet our commitment to spending 0.7 per cent of Gross National Income on overseas aid. We have also committed over £100m of humanitarian support to help alleviate the Mediterranean migration crisis in Europe and North Africa. We should be proud of the very real difference that our aid spending is making to the lives of children in the conflict zone and the surrounding countries – including Jordan, Lebanon, and Turkey. By prioritising our resources there we are able to reach more children; to provide them with education, with healthcare, with support. Last year we were able to provide this help to over 800,000 children in Syria and the surrounding countries for the same investment that it would take to support 3,000 unaccompanied asylum-seeking children under 16 in the UK for one year. In 2016 we relocated almost as many children from within Europe to the UK as the entire of the EU’s relocation scheme. This was because of our efforts to support the camp clearance in Calais where we took over 750 unaccompanied children. 200 of those children from Calais were brought to the UK under the Dubs amendment and we have committed to take a further 150 ‘Dubs’ children from France, Italy and Greece. The Dubs amendment required us to consult Local Authorities on how many additional children they can manage. Each year 3,000 children arrive in the UK and claim asylum and we are taking approximately 2,000 – 3,000 each year through resettlements schemes. All of these children need support and protection – as do the British children in our care system. It is right that the Dubs amendment requires us to ask Local authorities how many more children they could safely accept - and that is exactly what we did. If Local Authorities do come forward with any further spare capacity then we welcome those places to support the unaccompanied children already being cared for in the UK and those who continue to arrive and claim asylum. Some Local authorities are currently taking a disproportionate share of this burden; they are struggling to place the children in their care and have to pay for children to be supported in other Local Authority areas. We cannot allow a situation where councils choose to prioritise certain children over others and our National Transfer Scheme is intended to support a fairer distribution of vulnerable refugee and asylum seeking children across the UK. The Dubs amendment was never intended to be an open ended scheme. If we were to continue the scheme indefinitely then that would create an additional pull factor – children sent alone, from danger into danger, because of their belief that if they make it to Europe, then they just might get to come to the UK. It is right that we acted in this way but it is also right that we now prioritise our efforts on those children caught up in the conflict in Syria and the surrounding area - so that they can come to the UK safely and directly and with their families. Rest assured that this Government takes its responsibilities seriously and will continue to work to protect those children most at risk. The law is clear that Local Authorities must publicise statutory and planning notices in a local paper so as to ensure that the local community are properly put on notice of what is happening or what could happen locally. The NCC have stopped this. Because they don't like the coverage the Courant are giving them. Sadly there is no other explanation. To be fair to the NCC they accept the statutory obligation as they are spending money - by putting the notices in the Northumberland Gazette. The problem is that only someone who has ever left Morpeth or Ashington would know that no one buys the Northumberland Gazette in Tynedale or Ponteland. Why? Because it is an Alnwick and North Northumberland paper that sells barely 1-2 copies a week in Hexham, and not at all in Haltwhistle or Allendale. The argument that has to follow is that this is a decision taken to punish the Courant - who clearly lose revenue - for daring to challenge the NCC in their paper. Sadly this is the sort of madness that we see every night on the TV with Donald Trump banning everyone from the BBC to CNN from his press conferences. If you do not want to face public scrutiny don't do public service is the answer. It is only the totalitarian regimes or the very ill advised that think they can control a free press. The Story is reported in more detail here, but the NCC should reflect and change their mind. They are shooting themselves in the foot in so many ways at the moment. But this approach really does reflect badly on them. One has to ask why the SNP in government don't concentrate on running their public services better? Analyse the education, health, police and other public services and they have got considerably worse under the SNP control. A point my friend and colleague Ruth Davidson, MSP, has been making to great effect. A very busy week in the houses of parliament. The Budget will be delivered by Philip Hammond, MP, on Wednesday at 12:30. At about the same time the lords will give their final determination on the article 50 bill that has previously passed the commons, and send it back for further consideration in the commons sometime in the ensuing next week. I have a packed week this week in the commons, which includes debates on Monday until 10pm on the vehicle technology and aviation bill, which will set out new laws on everything from drones to driverless cars. Tuesday sees further consideration of the Children and social work bill. After the delivery of the budget on Wednesday there is a 4 day debate on the budget until next Tuesday week. 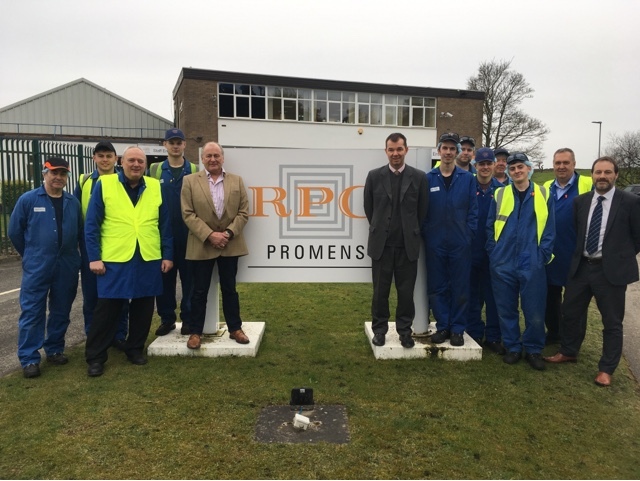 In other news, this week is the national apprenticeship week and I will be writing about and meeting with many on the subject. I have a number of constituents down in the commons this week, and will be in Westminster until late Thursday night.